Called X-points or electron diffusion regions, they are located "a few tens of thousands of kilometers from Earth. The portals are created through a process of magnetic reconnection in which lines of magnetic force from both celestial bodies mingle and criss-cross through space. The criss-crossing creates these x-points. The portals are "invisible, unstable and elusive," opening and closing without any warning. When they open, however, they are capable of transporting energetic particles at high speed from the Sun's atmosphere's to Earth's, causing geomagnetic storms. 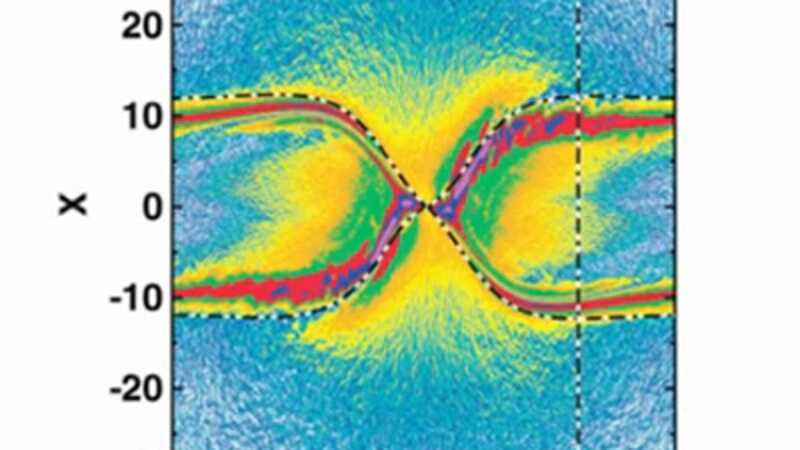 Using Polar data, we have found five simple combinations of magnetic field and energetic particle measurements that tell us when we've come across an X-point or an electron diffusion region. A single spacecraft, properly instrumented, can make these measurements.